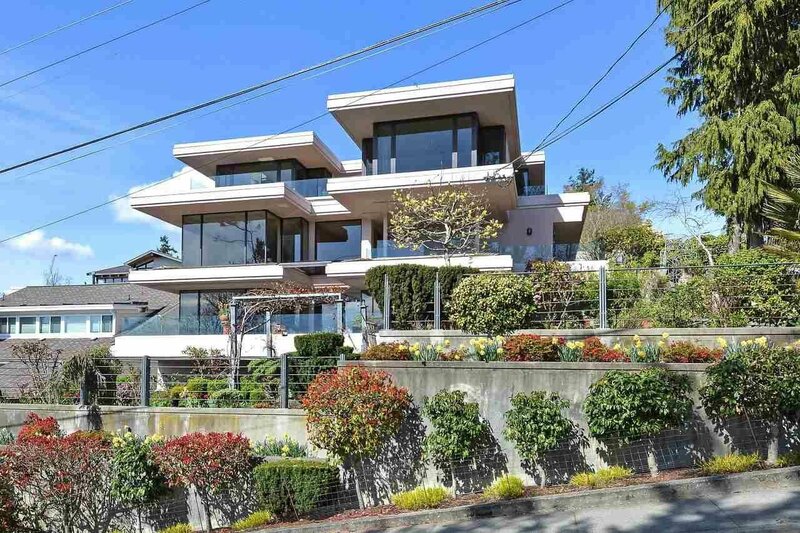 WHITE ROCK BEACH - Elegant concrete residence designed by Mark Ankeman Architects and constructed by Evanish Holdings. 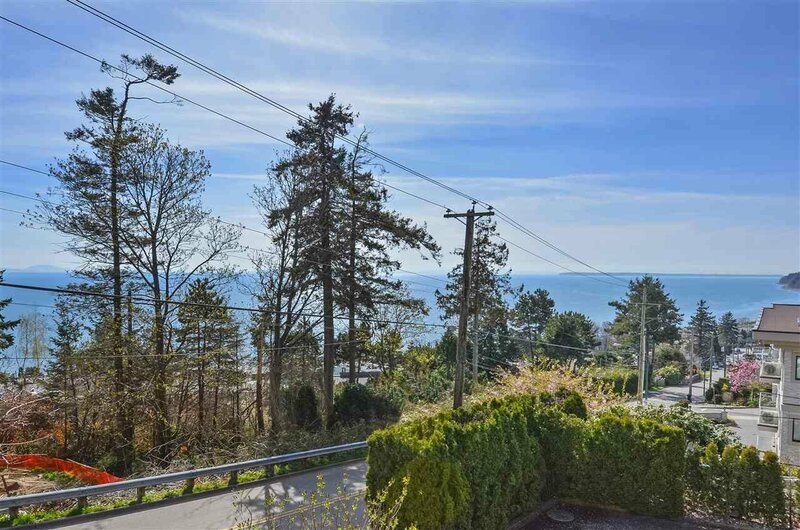 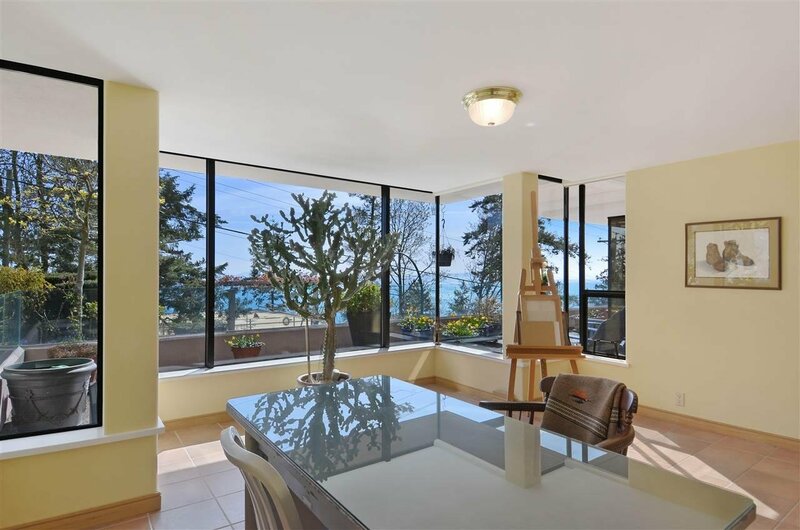 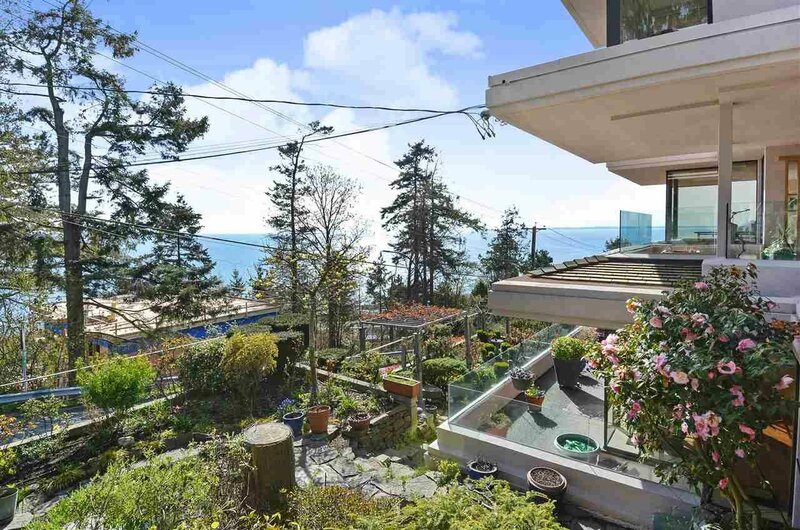 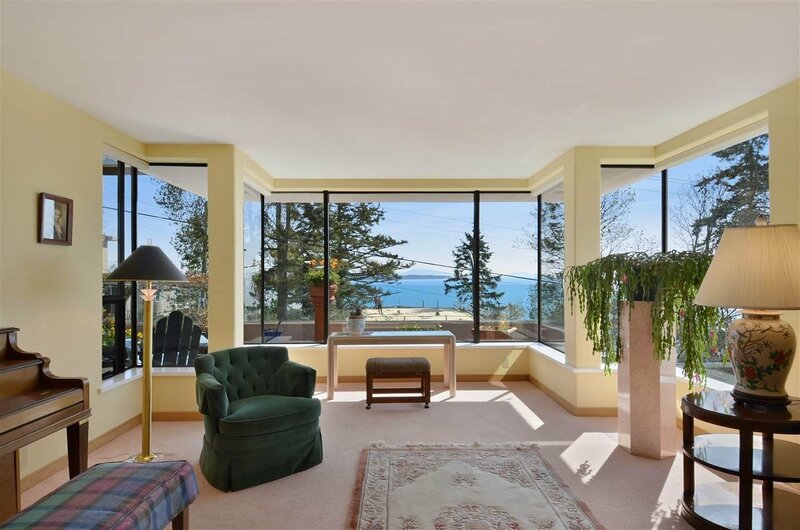 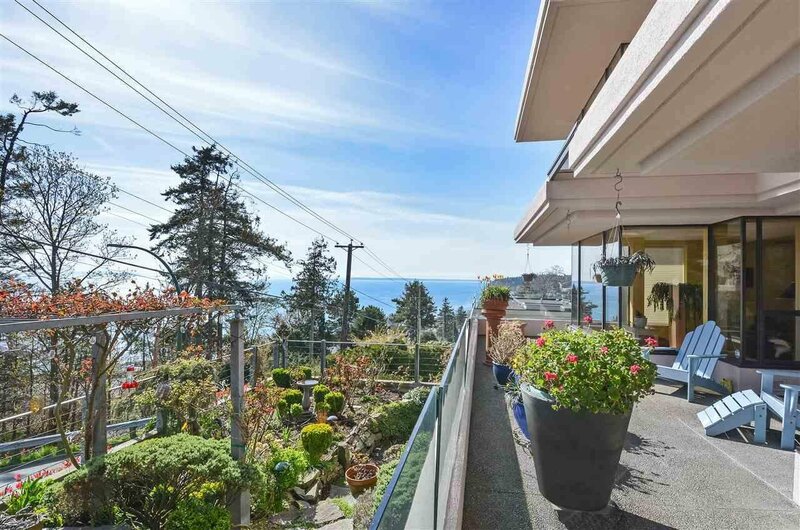 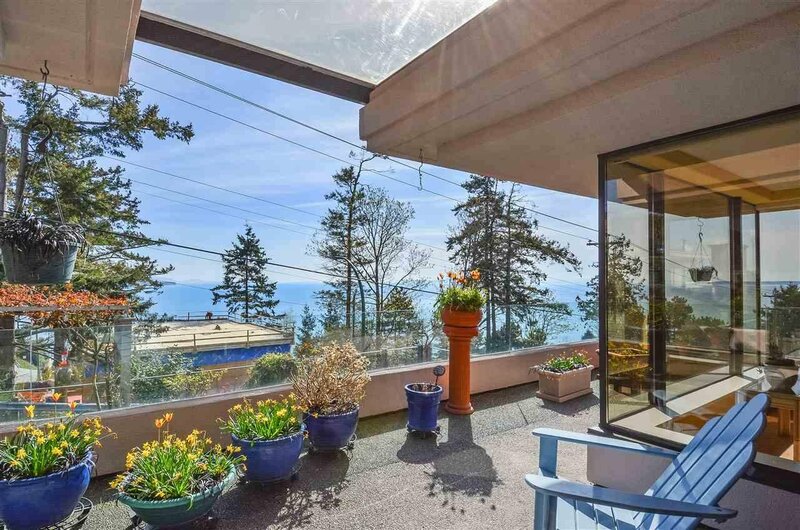 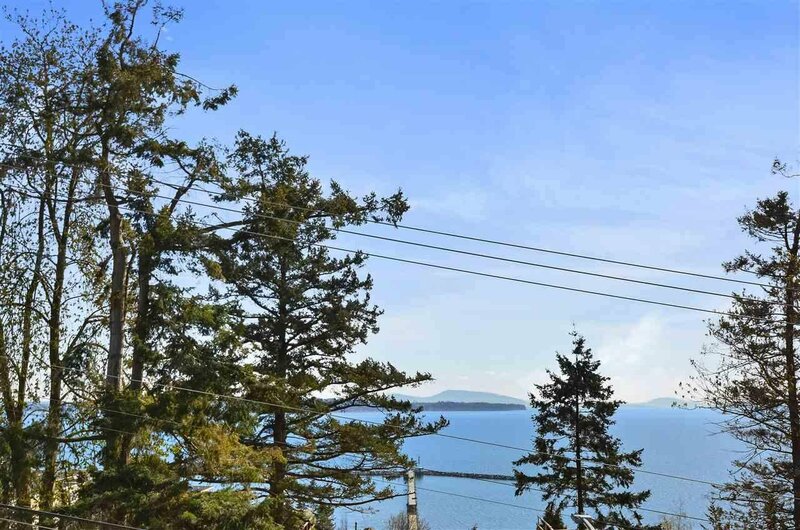 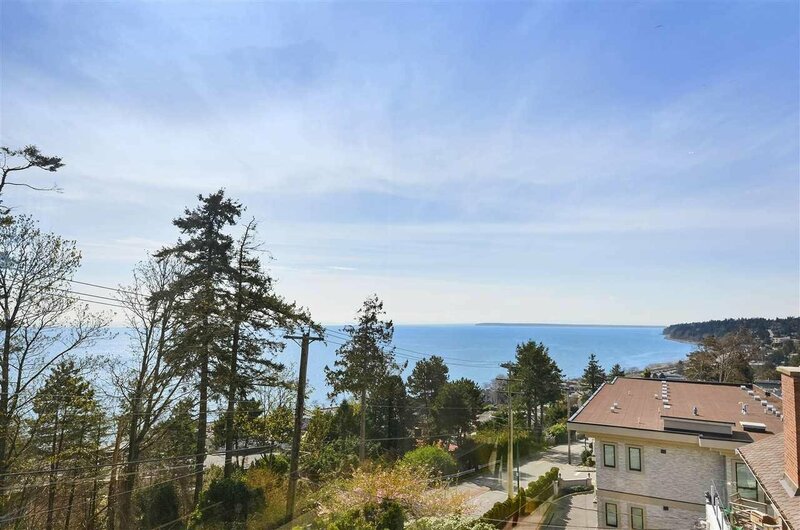 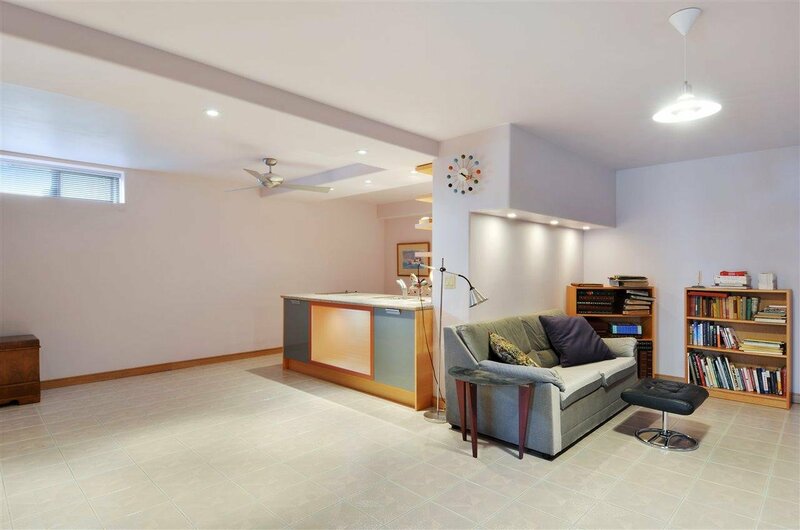 Panoramic ocean views with a central view of White Rock Pier. 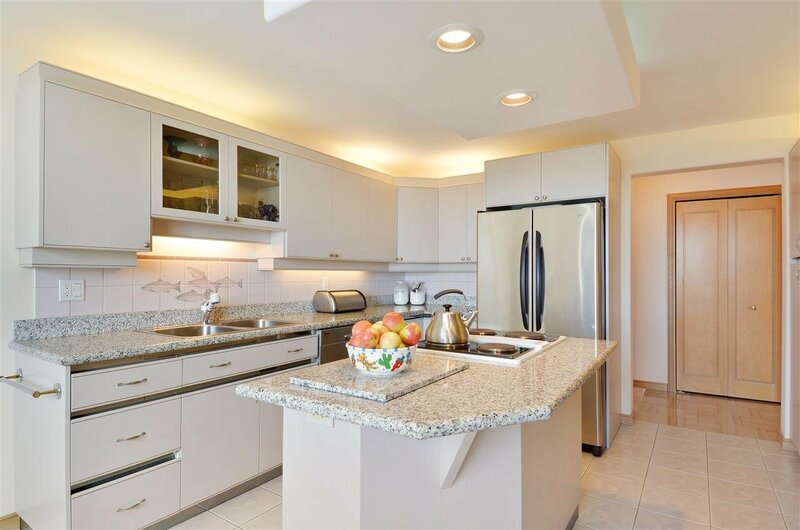 The interior showcases a spacious floor plan that flows with day-to-day living. 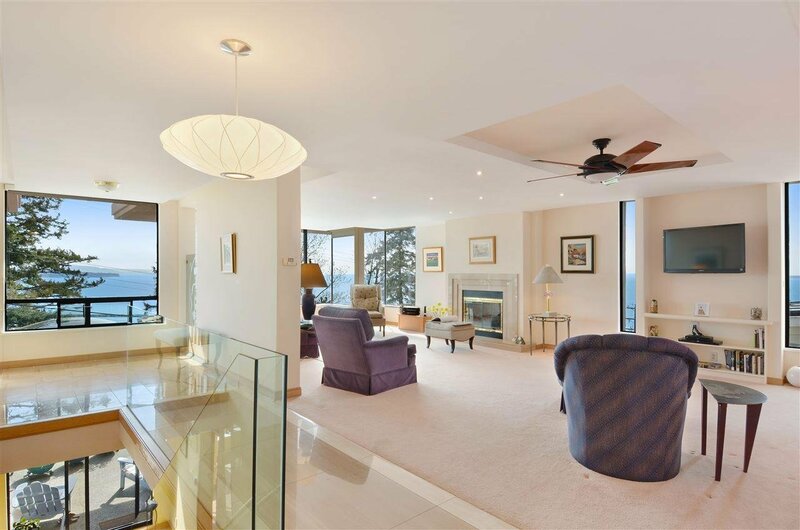 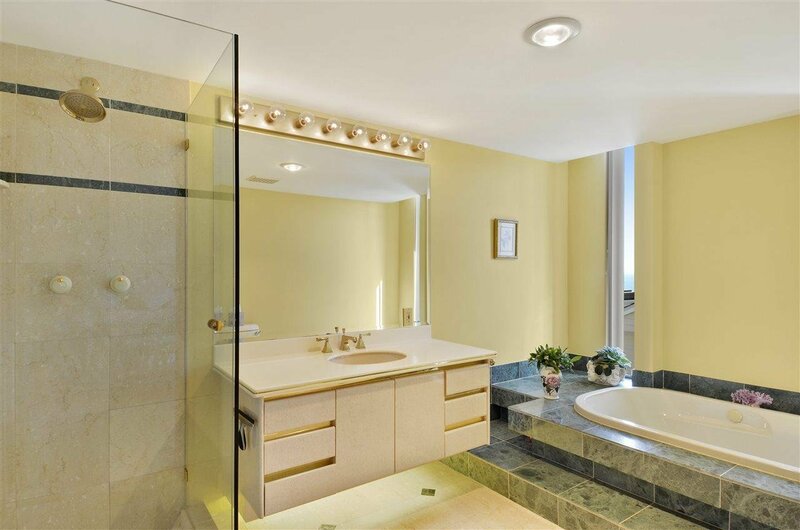 This 2 bedroom + den home highlights breathtaking postcard views from both levels. 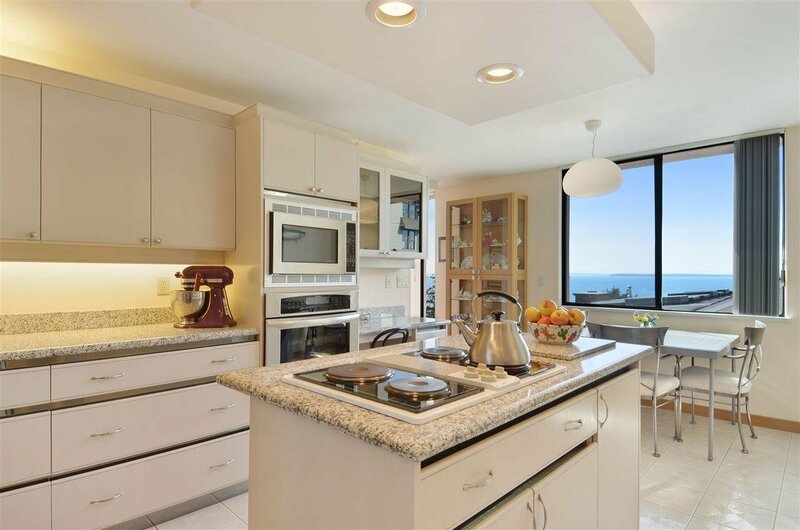 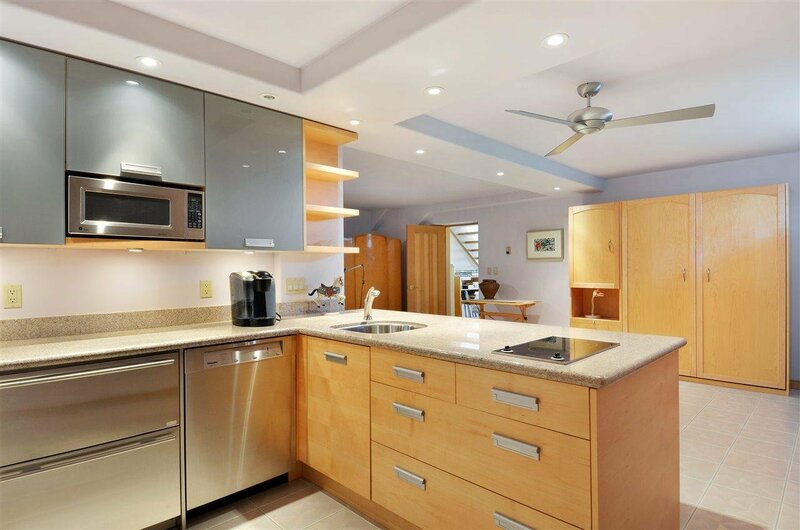 The kitchen offers views of the water, stone counters and appliances by Miele, Thermador and Sub-Zero. 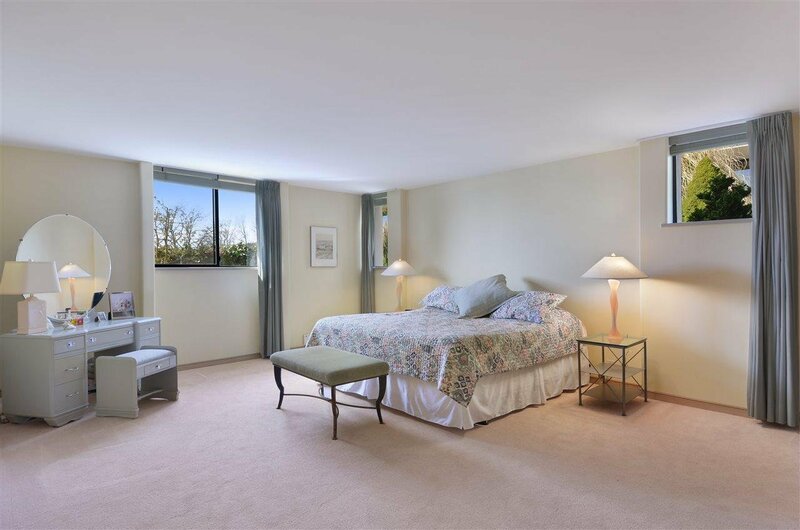 Large master suite with plenty of closet space. 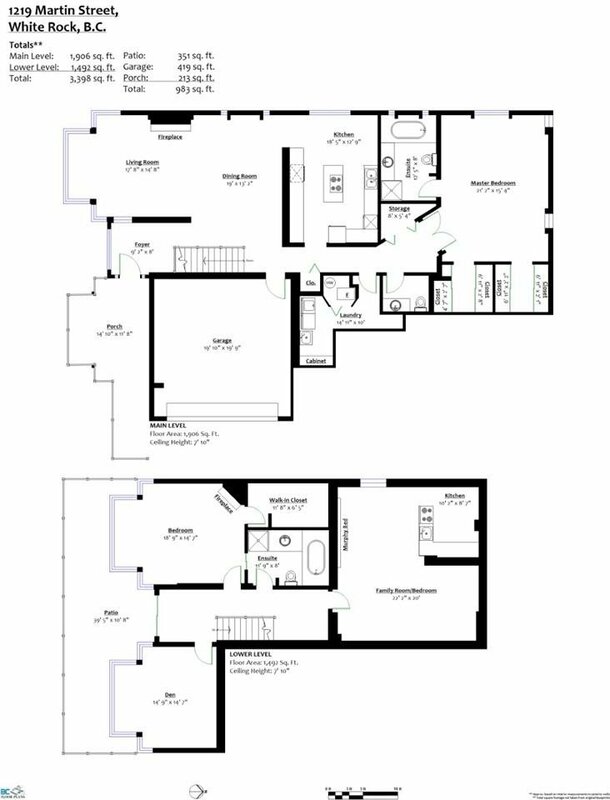 The lower level provides a bedroom, den, plus a kitchen for guests or caregivers. 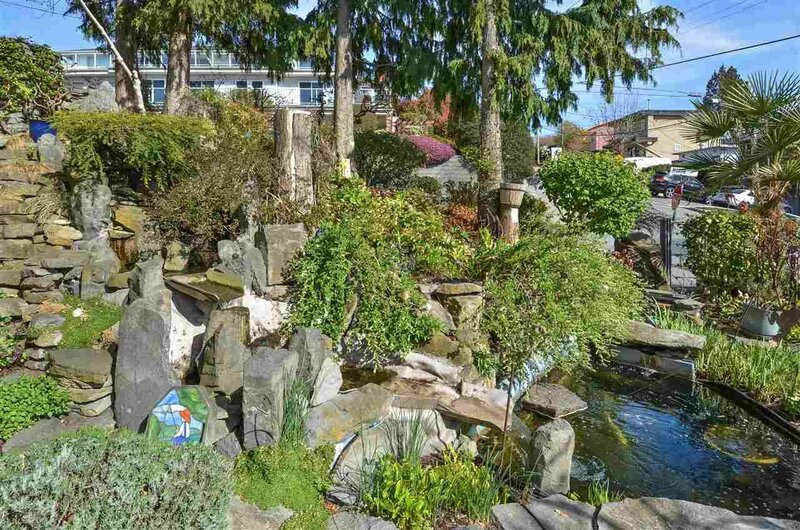 The tiered, south-facing front yard boasts ocean views, flower garden, water feature and koi pond. 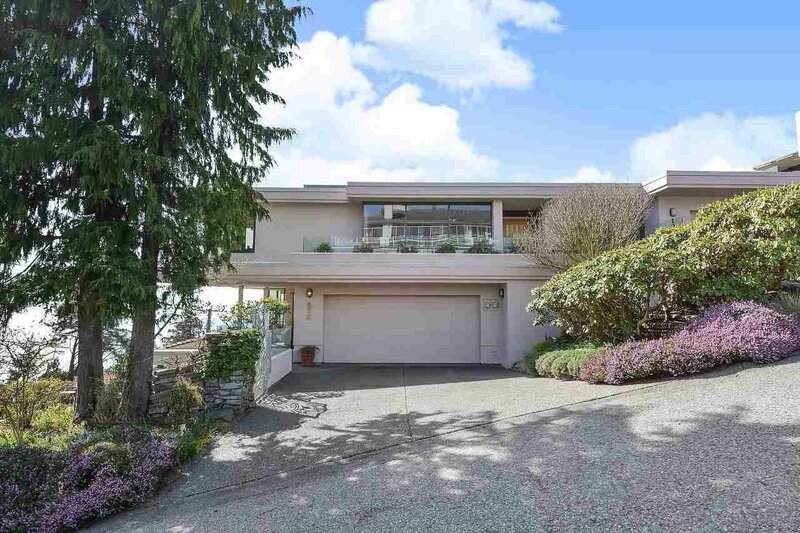 Over 550 sf of patio and outdoor living space. 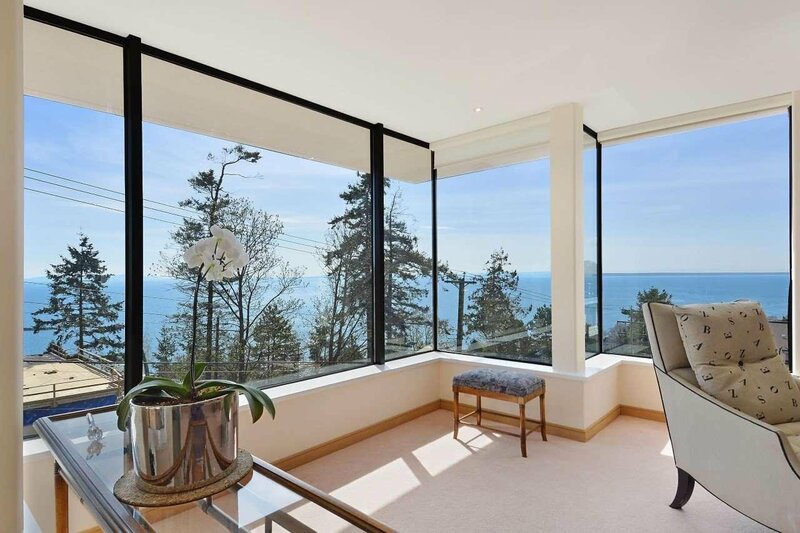 This home impresses with its quality construction and stunning views!